Finally, a Racer Worthy of the Harley Davidson Name. 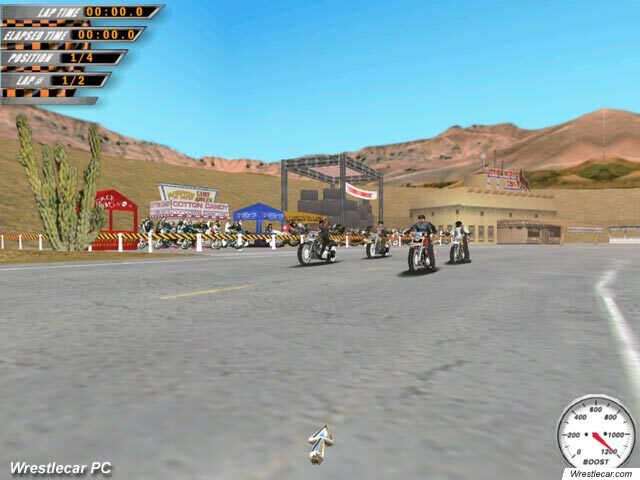 After a pitiful display, poor graphics, and an overall terrible game in WizardWorks previous Harley Davidson title, Race Across America, they have really stepped up their game in Harley Davidson: Wheels of Freedom. 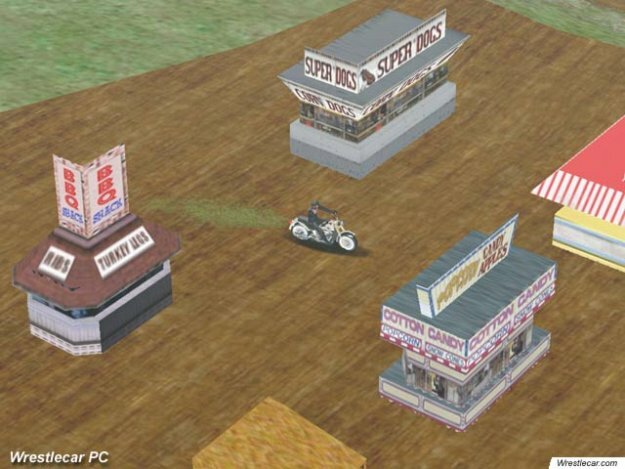 Wheels of Freedom features four separate racecourses, as well as four separate open levels where players can ride wherever they want, similar to the level in Midtown Madness. Six fully detailed bikes have been included as well. When I first took a look at the package, I noticed a Harley bandana. I asked, is this a good thing or something used to make the game look better than it actually is. I would soon find out after loading it up and playing for a while. After delving through the manual, I had a basic idea of how to play the game and what to expect. Installation was a breeze, and I launched the game only to discover that I could not use my duel axis wheel and pedals. I then installed my old Thrustmaster Formula T2 and found that it would not allow use of those pedals either . After this little experience, I just started the game using my gearshift as my accelerator. I was a little disappointed at first, but after a few hours of play, I realized I was addicted. The unique features of this title kept me hooked, and I enjoyed the very creative and unique racing environments. 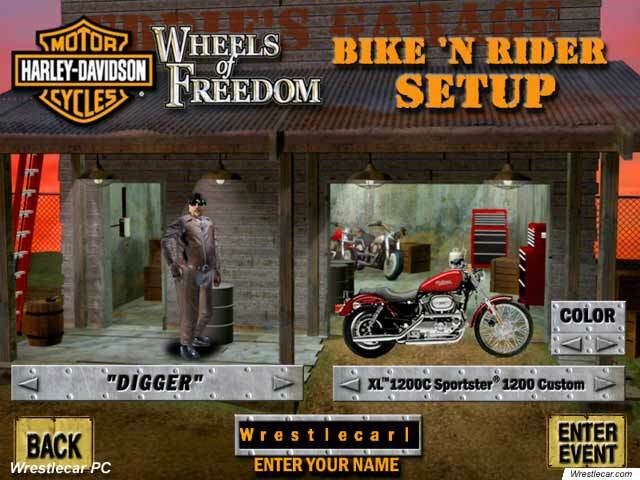 The graphics in Harley Davidson: Wheels of Freedom are quite impressive. 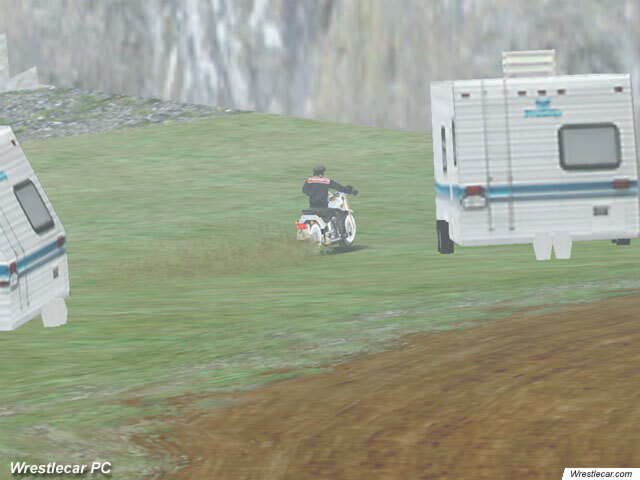 Race Across America was heavily lacking in this department, but Wheels of Freedom completely makes up for them. 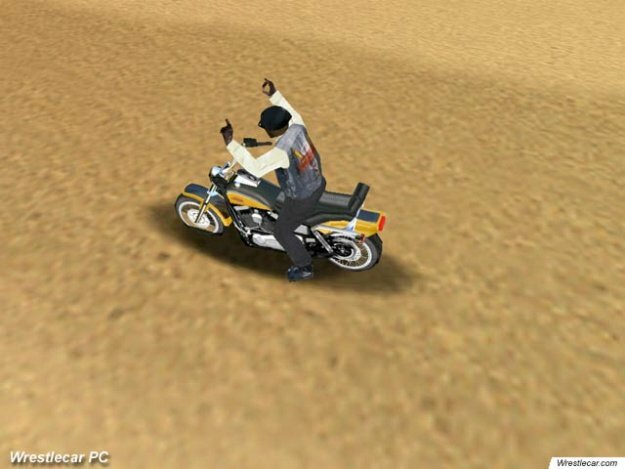 The bike models are very attractive looking, and the levels and terrain are very creative and unique. The small details added to Wheels of Freedom are quite impressive, and overall make the game appear very smooth and realistic. The levels in Wheels of Freedom are what I have determined to be the most impressive part of the title. The developers have been very creative, and the levels are incredibly detailed. Although there are only a limited number of levels, the open areas are very large and have many different places to drive. 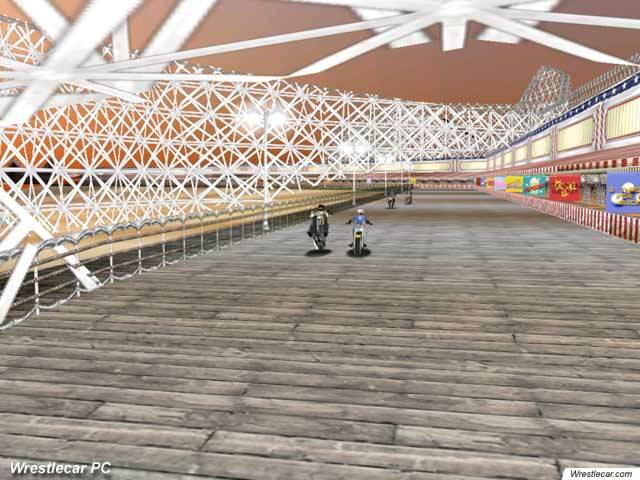 You can take a ride along a beach , even venturing up the lifeguard stands if you want , or cruise through a downtown area with buildings and sidewalks, all in the same level! The closed racecourses are attractive looking as well, but are not as exciting or enjoyable to play as the open areas. 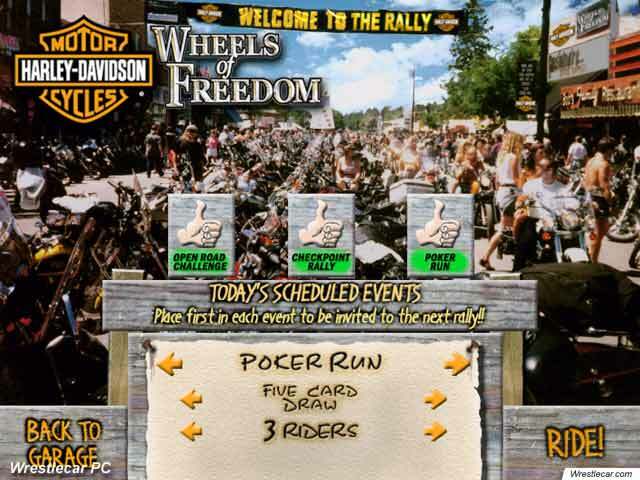 There are three different race modes in Wheels of Freedom. The first is the standard closed circuit race. These races are very easy to win, and the levels are very limited. The second option is a checkpoint event, where you drive around a large open area and find a set of randomly placed checkpoints in order. The first driver to find them all in order and cross the finish line wins the race. 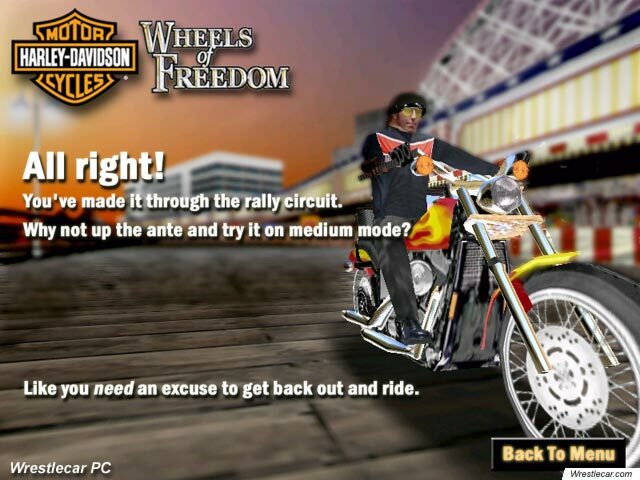 The third and final mode included in Wheels of Freedom is very unique. 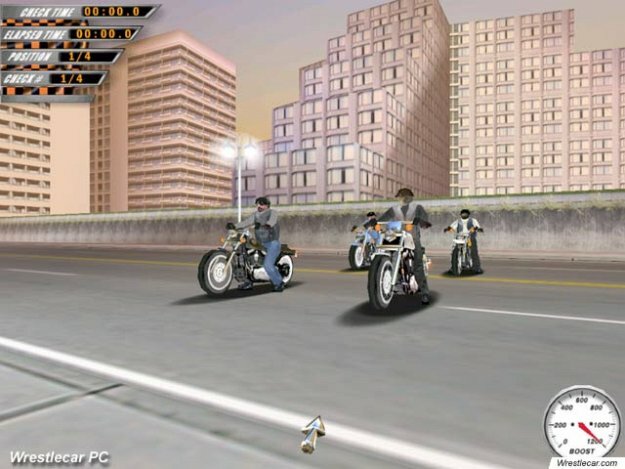 Although similar to the checkpoint mode, the player must race around in an attempt to collect poker cards. 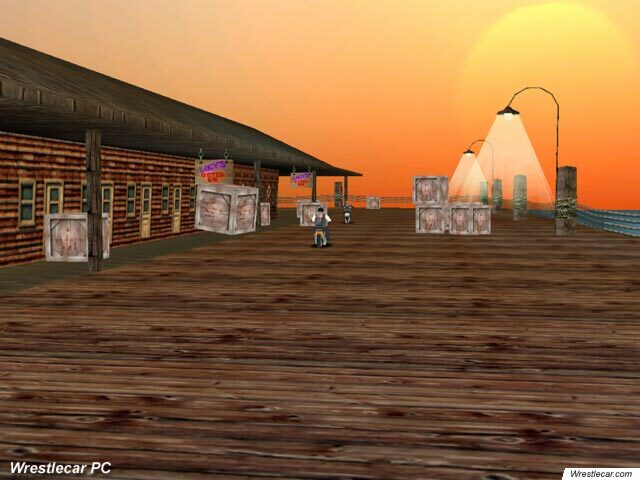 Upon completion of the game, the player will engage in a game of poker, and depending on your hand, you will have several seconds deducted from your time. It's possible to actually win the race, but lose the poker battle, thereby forfeiting your victory. 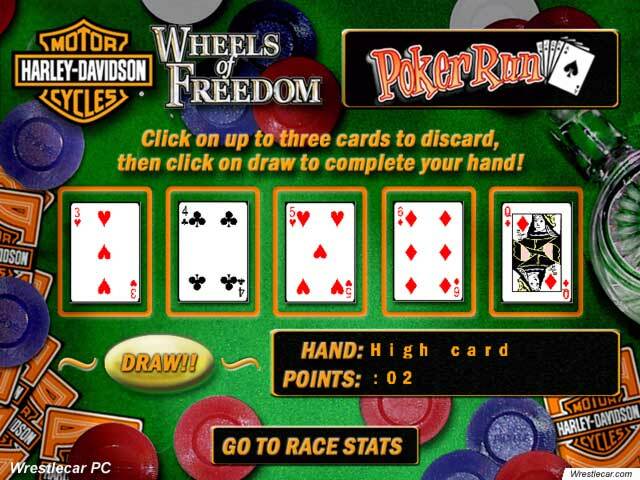 Although there are several good features about Wheels of Freedom, there are also several very bad problems and issues with this title, which damage it heavily. As mentioned earlier, I have been unsuccessful with setting up any of my duel axis controllers and wheels to race with. This heavily impacts the title, as I cannot enjoy it to its full potential. 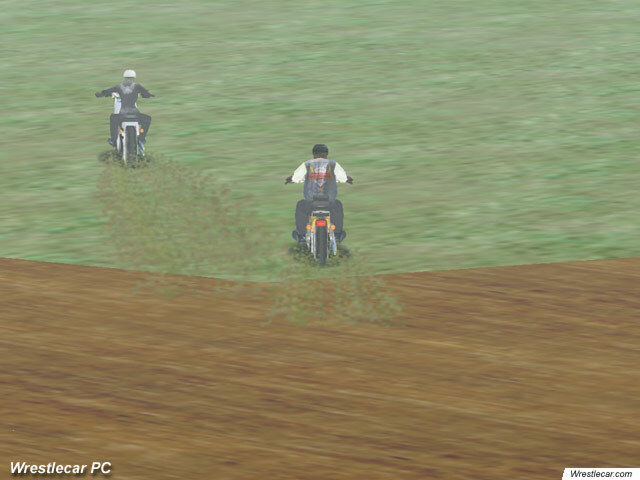 The second issue comes with the physics engine used for the player's bike. It is very unrealistic, as it takes a lot of bumping and banging to knock the driver off, and even then, it does not drive fluently. The cornering and overall driving does not feel or act like a motorcycle, but somewhere in between a bike and a small car. This was the most disappointing item I have found in this title, and really hurts the whole game. Finally, the artificial intelligence in Wheels of Freedom needs an improvement. They are rather easy to beat while racing, and act incredibly dumb sometimes. An example of this is when they constantly run into objects or blast in front of the player only to slow to a crawl. The sound in Harley Davidson: Wheels of Freedom was very good for the limited amount of sound effects present. The bike engine and wreck sound effects are very impressive. The little comments made by the biker on each lap and during a wreck are very entertaining, and are a great aspect of this title. 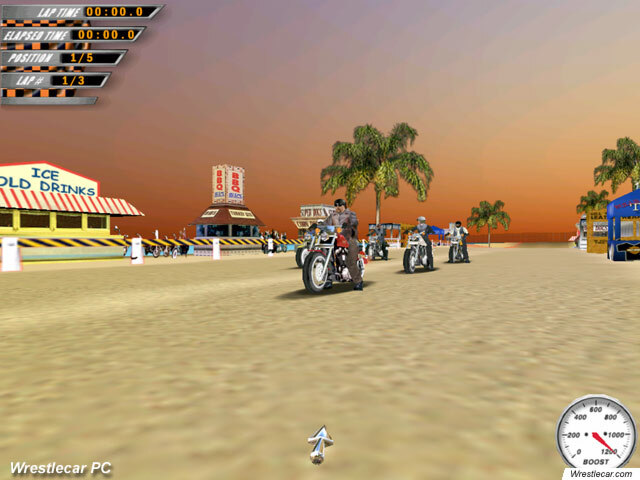 Multiplayer is a very important aspect to every game, and Harley Davidson: Wheels of Freedom includes multiplayer racing for up to four players. Included on the CD is a copy of GameSpy Arcade, which is an impressive multiplayer matchmaking service. It allows you to find a race and join quickly and easily. The multiplayer gameplay is fairly good, but very few options and tracks in the title make it a very limited experience. 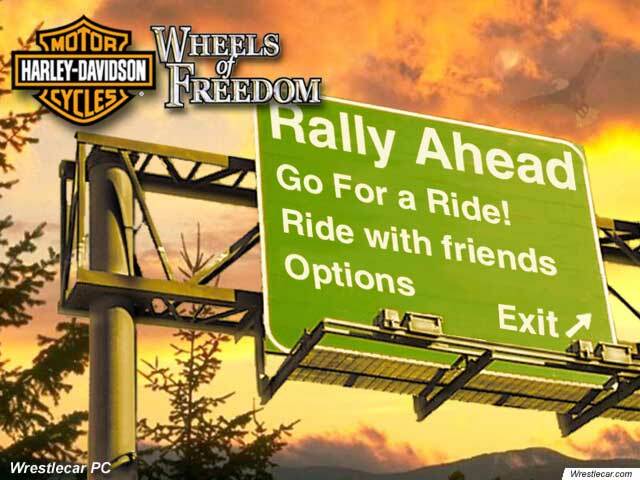 Overall, Harley Davidson: Wheels of Freedom is a very large step up from its predecessor, but improvements in some areas would be a great asset. The title was hard to originally enjoy, but after discovering the new levels and terrain, I became addicted. After several hours of play, and completing all the tracks on easy and moderate difficulty levels, the game became repetitive. 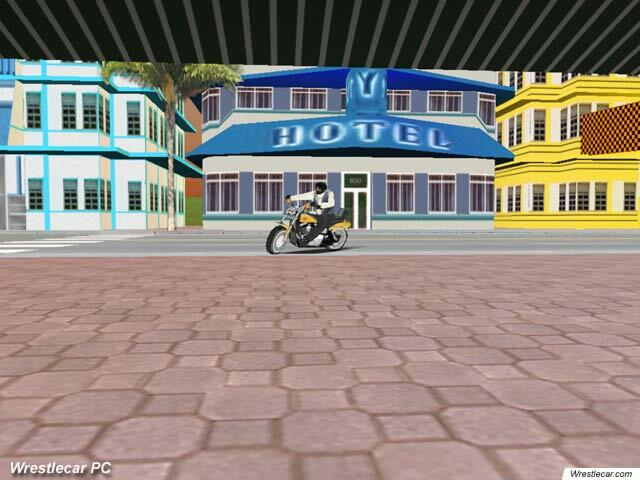 Although not as enjoyable as riding an actual Harley, for $20, the game is impressive, and worth the money if you are into Harley Davidson motorcycles.